I got out in the snow! If it was only for a half hour give or take. My hubby and daughter went with me to Rite Aid. I had 2 $20 Gift of Savings Certificates that expire soon so I wanted to find the best way to use them. My goals was to spend at $100 before coupons to get the $35 VISA card and also get as much Rite Aid rebates. I had to change some of my purchases because they were out of some things. I bought the CrossAction toothbrushes and batteries instead of Tide and Tide Action packs, my store doesn’t carry the Action packs yet. I also bought the deodorant and body wash since there weren’t any more Bounty 6 packs. Note: (4) $1/1 from PG 2/7 – These coupons weren’t accepted by the machine and the cashier wouldn’t push them through. They say “CrossAction” so I’m not sure why they beeped. I still bought them because I need to reach the $100. 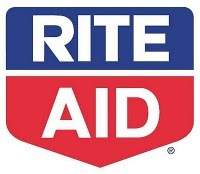 I will get $17 back in Rite Aid Check. I will get the $35 Visa reward because I purchased $112 worth of merchandise. Since I’m now considering any reward that is store credit as a coupon (i.e $20 gift certificates) rather than cash, then this was a profit of $26.87. I saved a lot because since most of the items were on sale BEFORE coupons the value of the products are worth more than $112. 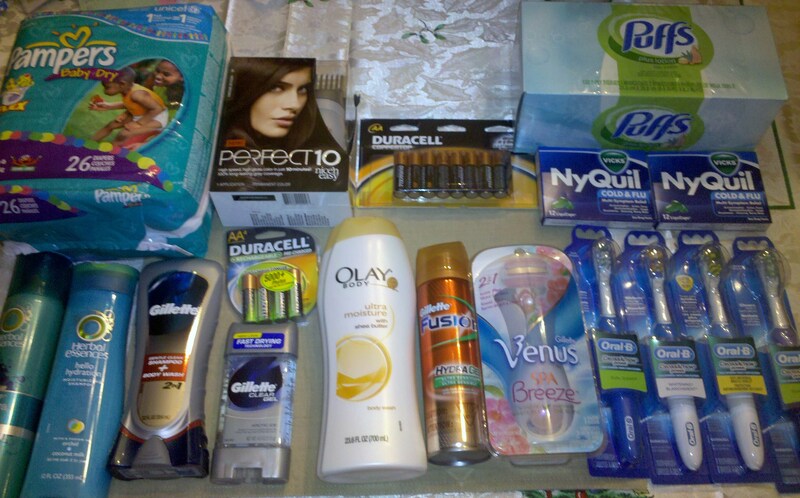 Taking what I spent out of pocket which equals $25.13 and not considering the rebates I saved 77% ($112-$25.13)/$112! When you consider the rebates I will get I saved 123% ($112-$25.13+$52)/$112!! Wow! Thanks to KrazyCouponlady for all of the good ideas! Thanks! It was an interesting trip with my husband and little girl. My little girl didn’t want to be in the cart so she cried most of the time. I tried every trick in the book that I could think of to calm her down. When DH had a chance he came up and picked her up so I could finish. Thank goodness for supportive husbands! Great RiteAid trip Holly; you saved a ton! Glad you were able to get out of the snow! .-= Laura – Frugal Friends in Northern Virginia´s last blog ..Harris Teeter Possible Super Double Coupons for 2/17/10 – 2/23/10 =-.